Coach Ron Anzevino – 32 years coaching at the 4 year College level, Junior College, High School & in Europe. In Europe Coach Anzevino worked with the NFL Franfurt Galaxy as well as Head coach of teams in Italy and Austria. Coach Anzevino has a combined 112-27 record in 15 years as a Head Coach. He also brings an additional 16 years as a player playing college ball at Youngstown State University as well as a cup of coffee with the Seattle Seahawks and Miami Dolphins. 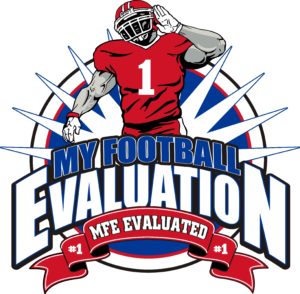 Coach Anzevino is the President of MyFootball Evaluation. Coach Anzevino and his wife, Natalie, live with their son Ian in PA.
Dominic Anzevino – Dom works in a leadership role in the financial services industry. He works with us at MyFootball Evaluation in an advisory capacity and brings fantastic credentials to the MyFootball Evaluation Team. Dom played Division 1 Football at Marshall University where he started as a true Freshman at safety as well as handling the Long snapping duties for the Herd. Spring of Dom’s Sophomore year, he suffered a neck injury that sidelined him from competing at Marshall further. 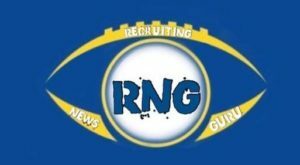 He sought a 2nd opinion and was cleared, transferred to Muskingum College where he went on to become an D3 Pre-Season All-American, 1st Team All-OAC playing 2 ways as a Safety, WR & handling the Punting duties as well as KR & PR. Dom works locally training long snappers and brings great vision and knowledge to the MyFootball Evaluation team. Dom and his wife Dana have 3 incredible daughters who are heavily involved in Volleyball and Soccer. 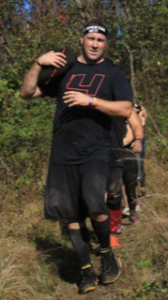 Dom keeps his competitive edge by doing Spartan Races. He and his family reside in Ohio. 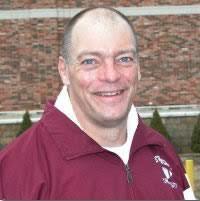 Coach Jim Vert has been a High School Varsity Football Coach for over 30 years. He is currently the Defensive Coordinator at West Valley High School in Cottonwood, California where he has been coaching for the last 25+ years winning numerous League and CIF Championships. Coach Vert’s Defense set numerous records this past season including posting 6 Shut Outs, holding 9 Teams under 100 yards rushing and forcing 49 Turnovers on the way to a 12-2 CIF Championship Season. Coach Vert played football at the Pop Warner, High School and Collegiate Levels before Knee Injuries cut his career short. He has been actively involved in College Recruiting and Player Evaluation for over 25 years and his passion is helping young people pursue their dreams and reach their Goals, Coach Vert has two Sons Jacob 27 and Joshua 25. Chris Anzevino – youngest brother of Coach Anzevino & Dom. 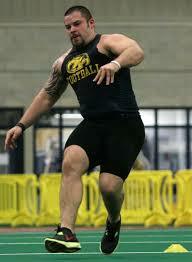 Chris earned the starting Center spot Kent State University starting all 48 games in his college career. Early in Chris’s career he was the Center for Julian Edelman, QB Kent State, now New England Patriot Super Bowl winner. 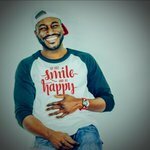 Chris signed with the Baltimore Ravens in 2012 to continue his playing career as well as with the arena Cleveland Gladiators team. Chris and his family currently reside in Ohio. Coach Markus Naves Is A Grand Rapids, MI Native And Former Division 1 Football Player Who Played At Both Central Michigan University (2002-2004) And Indiana State University (2004-2006). At CMU He Played Sparingly As A Redshirt Freshman Before Transferring To Indiana State Where He Started At WR For 2 Years Before Tearing His Achilles Ending His Playing Career. In 2007 He Began His Coaching Career At Grand Blanc High School (MI) Where He Spent 8 Years As The Varsity Wide Receivers Coach And Pass Game Coordinator. During His Time At Grand Blanc Markus Helped Over 45 Athletes Get Scholarship Offers At All NCAA, NAIA And Juco Levels. Coach Markus Has A Masters & Bachelors Degree In Sports Management & Marketing. Chris Seigle – Coach Seigle has coached at Duquesne University, West Virginia Tech, Milford Academy, Florida International on Mario Cristobal’s staff, and Hampton University. Coach Siegle attended prep school at Milford before beginning his playing career at the University of Cincinnati. He transferred to Duquesne and saw action in six games before finishing his career at West Virginia Tech where he was a second team all-conference pick as a senior. Following a two-year stint in the American Indoor Football Association, Siegle embarked on his coaching career. Chris and his wife Katie live with their 2 kids in Western PA.
Coach Harold Wheeler – A four-year letterwinner at Southwest Missouri State University (now Missouri State), Coach Wheeler began his long college coaching career at Newberry after two years as a graduate assistant at Georgia. After departing Newberry, Wheeler worked as an assistant coach at Furman, Ole Miss, Memphis, Washington State, Appalachian State, Houston, Northwestern State, and finished his career on staff at Newberry High School. He helped Peru State to an NAIA Division II national championship in 1990 and spent three seasons piloting Western New Mexico to a 15-12 stretch that included a 7-3 season in his final year as a head coach. Coach Wheeler also served as Defensive Back coach at University of Texas under Mack Brown. Coach Wheeler currently resides in Missouri with his wife of 50+ years. Lt. Colonel Dale Garrett -RB Coach at Evangel University for nine seasons, from 2002 through 2010 after coming to Evangel in 2002. 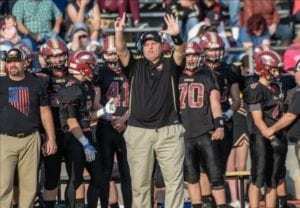 Coach Garrett is a 1974 graduate of West Liberty State College where he won seven letters in football and wrestling and captained his senior squads. Until recently, he held the West Liberty State school records for most rushing yards (278) and most rushes (43) in a single game. Upon graduating, Garrett taught at Real Life Christian Academy, directed a group home for troubled youth, and played semi-pro football with the Tuscarawas County Vikings in the Ohio Football League from 1974 to 1978. In 1979 Garrett joined the U.S. Air Force and retired in December 2002 to assume teaching duties in the Social Science Department at Evangel University. Over the course of his Air Force career, Garrett logged 3,000 flying hours as a B-52 crew member, commanded three different squadrons, and was awarded the Bronze Star for actions during Operation DESERT SHIELD/DESERT STORM. 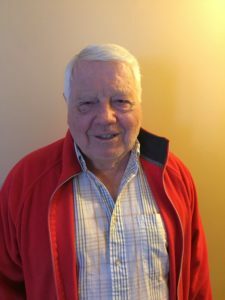 He served in the U.S. Embassy in El Salvador, and was responsible for developing the newest completely electronic B-52, B-1 and B-2 training range in U.S. airspace. Garrett earned his Master’s degree from Central Michigan University. Lt. Col. Garrett and his wife, Martha, have three grown children. Charlie Getty – Coach Getty played 10 seasons in the NFL for the Kansas City Chiefs and Green Bay Packers. Coach Getty played his College ball at Penn State University blocking for Heisman Trophy winner John Cappelletti. Coach Getty was also an All-American wrestler at Penn State finishing 5th and 3rd at the NCAA National tournament in 1973 & 1974. Coach Getty later went on to become an adjunct academic instructor and strength and conditioning coach for Evangel University. Coach Getty currently resides in Missouri with his family. 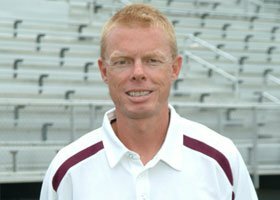 Coach Scott Metcalf – served 8 seasons as head coach at Evangel. Coach Metcalf’s tenure is the second longest of any of the Crusaders seven head coaches. Coach Metcalf had a 42-40 career record as head coach. 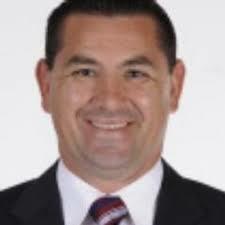 Coach Metcalf was offensive coordinator at Evangel from 1999-2001. 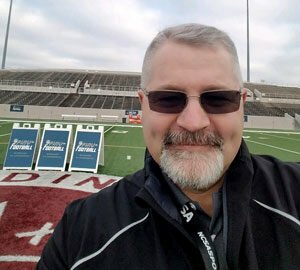 He served as receivers coach starting in 1991 and continued coaching that position in addition to his other coaching duties throughout his career at Evangel. 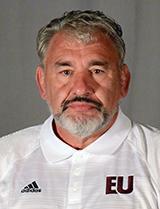 Metcalf coached a total of 20 years with the Evangel University’s football program. He also coached at Eastern Michigan University as a GA and Urbana University. Coach Metcalf and his family currently reside in Missouri. *The MyFootball Evaluation continues to grow its coaches currently working with coaches that assist with our evaluations and reside in California, Florida, Texas, Oklahoma and more!